Well, that’s ten sucessful guesses for me. They really must have expect Scorsese to win Best Director given that they had three oh his freinds repsent the awar. Just a note, Infernal Affairs (which The Departed was based on) was a Hong Kong film, not a Japanese one as the Oscar announcer stated. You may have of the film Nacho Libre. 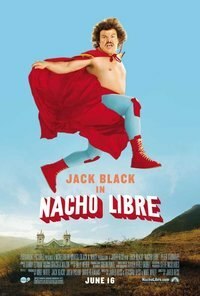 In it Jack Black plays a Mexican priest who becomes a professional wrestler in order to raise money for his orphanage. When it came out I thought it was a strange and implausible premise for a film. Little did I know. I just recently learned that it was based on a true story. The real life Reverend Sergio Gutierrez Benitez did indeed wrestle as the masked luchador Fray Tormenta (“Friar Storm”) in order to support his orphanage. I’ll probably have to go rent it now. You Want Fish With That? Before the Vatican II council in the 60s, Catholics were required to abstain from meat every Friday,up with the instead of just during Lent as they do now. As you might guess, this put a crimp on McDonald’s hamburger sales. In order to capture that lost business a franchisee in Cincinatti with a large number Catholic customers came up with the filet-o-fish and took it to headquarters. Ray Kroc’s own meatless sandwich idea was the Hula Burger, a pineapple slice on a cold bun. Kroc made a bet that whichever sandwich sold better on a Friday would be rolled out by McDonald’s, and not surprisingly the filet-o-fish won. 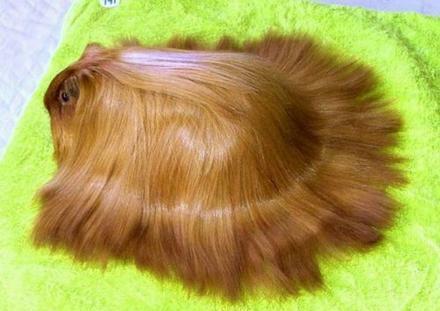 I do believe this is one of William Shatner’s toupees. Git Yer Power Armor Right Here! As an avid viewer of Law & Order I found this of interest. If I’m reading things right, from the time between the real-life murder and the airing of the show a little more than thre months will have passed. That means we should have a crazy-astronaut-in-diapers murder episode by the end of June.